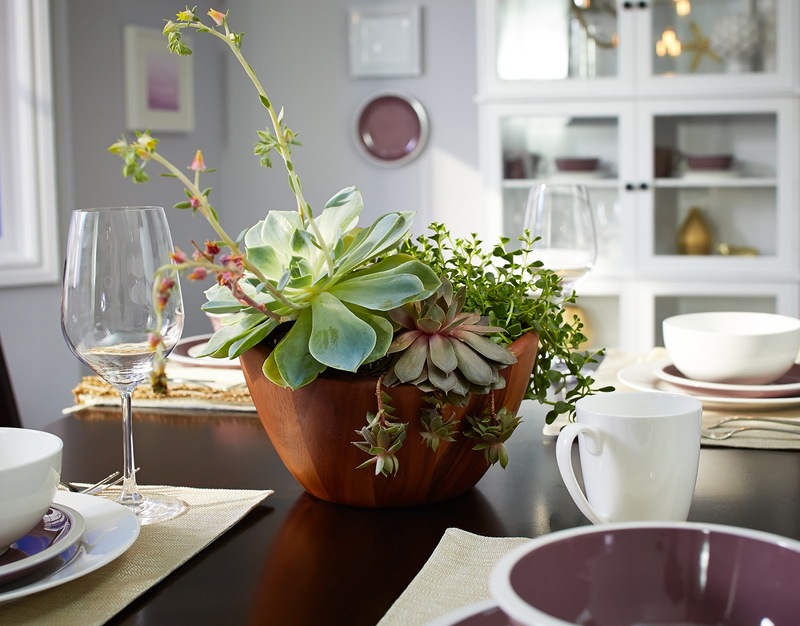 elliven studio: Introducing the CANVAS Home and Dining Collection by Canadian Tire! Introducing the CANVAS Home and Dining Collection by Canadian Tire! I am so beyond excited about today's post! I've been keeping a secret from you guys and I finally get to share all of the details! A couple of months ago, I had the wonderful opportunity to work with the amazing team at Canadian Tire. The collaboration was so much fun and it was all to help celebrate the launch of their new CANVAS Home and Dining Collection (#MyCANVAS). The days included in-studio filming and photography and chatting about the room that I styled. My focus was to provide inspiration on how to bring a touch of formality to eat-in kitchens. You certainly don't need a dining room to bring a formal feel to your eating space and having a space that can both formal and causal is wonderful. The Evans Creek Collection is absolutely fantastic, I love the X motif on the chairs and table legs. I chose to add fabric chairs at the head of the table and also included even more seating by placing stools on either side of the Stacked White Cabinet. 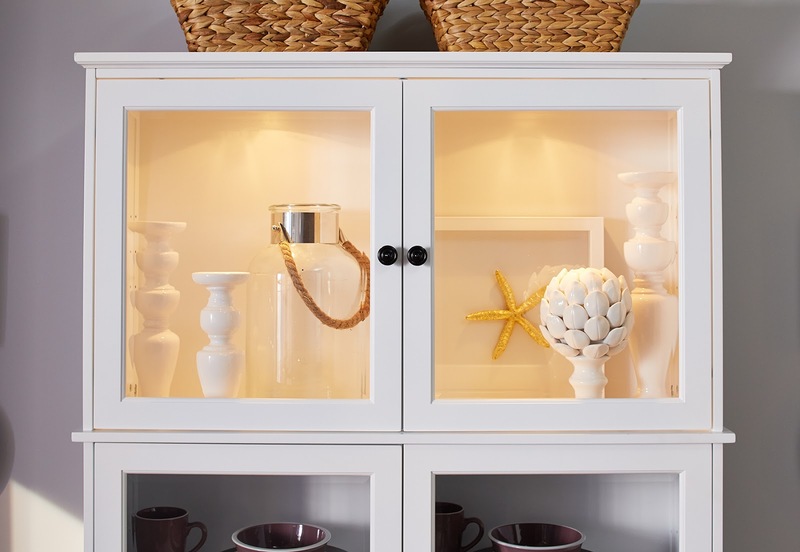 The gorgeous Stacked White Cabinet creates a beautiful focal point. I added puck lights to the top section to illuminate the decorative items, the lights also create beautiful ambiance in the evening hours. Place some baskets on the lower shelves to hold extra utensils or even kids' crafting supplies. I carried the colour throughout the room with the use of the stunning CANVAS Dinnerware Collection as well as art and I added a rustic touch with the help of the light fixture. You can truly create a custom space using only pieces from the CANVAS Home and Dining Collection. One of my favourite things to do when it comes to decorating is to mix pieces and to choose furniture that offers versatility. 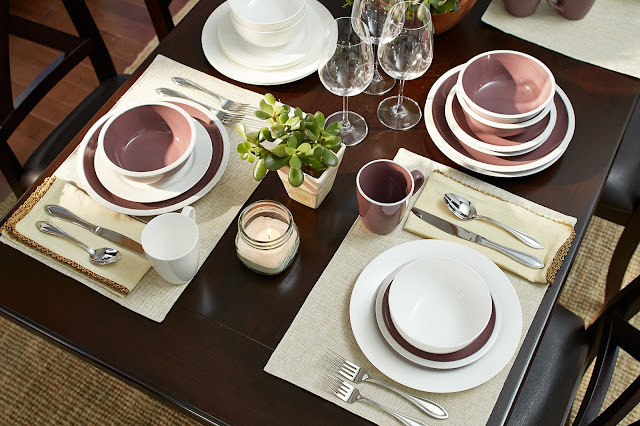 The wide variety of furniture in the CANVAS Home and Dining Collection allows you to do just that. No one will know that you purchased all of the items from the same place! The selection is just fantastic. Now I don't want to give too much away! You can read all about the space I created and watch videos (yep, videos!) on how to create the same look over at the Canadian Tire website. Curious to see my inspiration for this space? Be sure to check out my Pinterest board! Wanting more? Monika and Christine also collaborated with Canadian Tire, creating two other rooms. You can find Monika's page here and Christine's here. You're gonna love them and you can view the entire CANVAS Home and Dining Collection here. Be sure to follow Canadian Tire on social media at @canadiantire and if you purchase any items from the CANVAS Home and Dining Collection, use the hashtag #MyCANVAS to share! We want to see how you're styling your pieces! A very big thank you to the entire Canadian Tire team for this incredible opportunity! It is inspiring to work with a group of people who are so passionate about what they do. The team is focused on designing great products that homeowners will love and be proud of. It was certainly an unforgettable experience! All three rooms look fantastic (I saw the videos first through my Canadian Tire online email.) I love their CANVAS line and will be stalking our local store to get a glimpse of their Christmas line before long. Love love love how you styled this room Julie! I want one of everything, especially that stacked white cabinet. Such versatile and stylish pieces from one of my favourite brands. The pieces you chose look great together, and the style is so you! What a wonderful opportunity to work with an iconic Canadian company, they are fortunate to have you on their team.